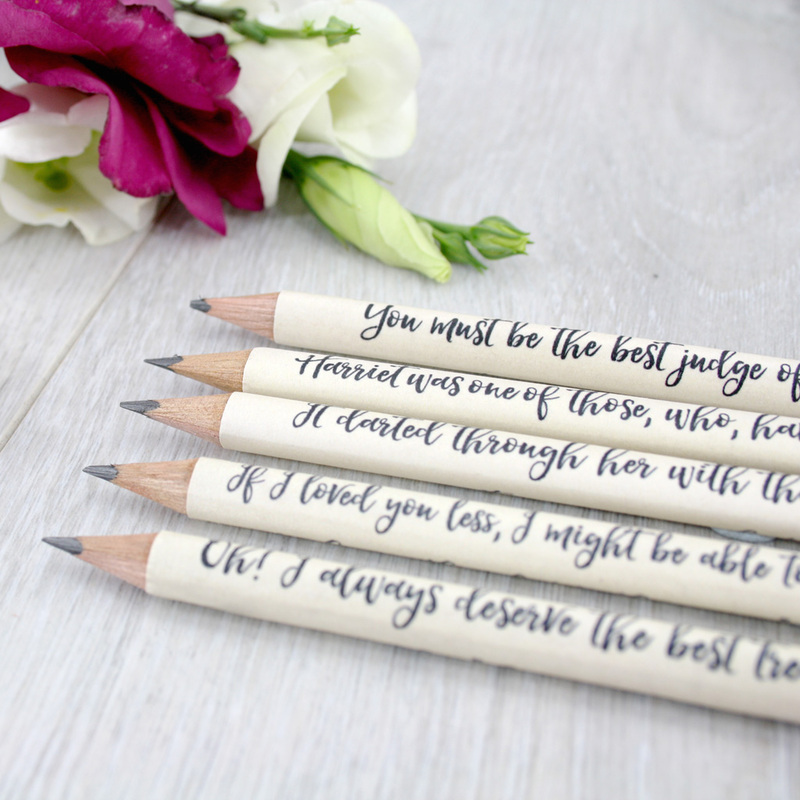 Personalised Emma Quote Pencils. 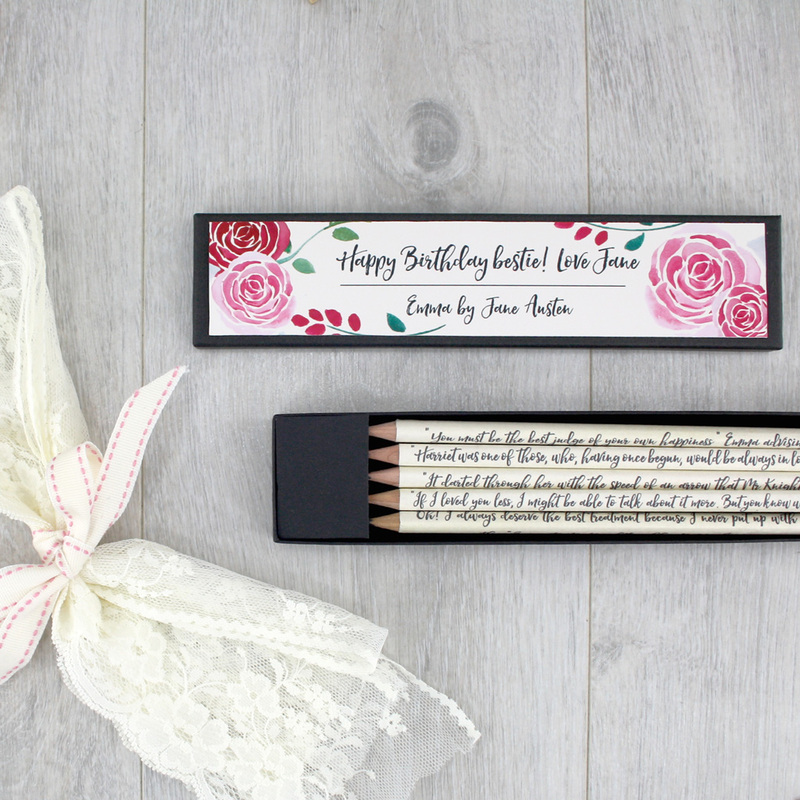 A set of 5 book quotes from Jane Austen’s witty romantic novel EMMA. 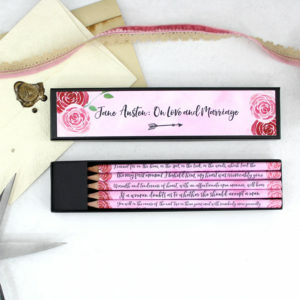 The best gift for a book lover, Jane Austen stationery that is personalised with your own message. 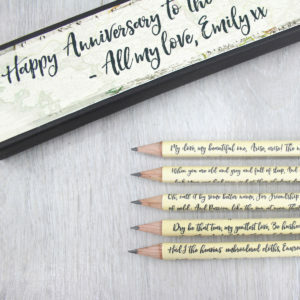 Each gift set contains 5 quote pencils from the novel, HB pencils from sustainable forests. 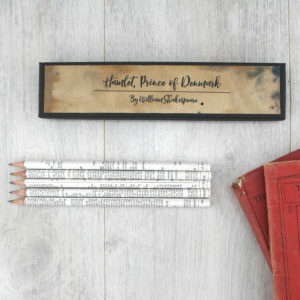 The gift box is personalised with your message and your set comes with a note from the maker telling you when, where and how your pencil set was made. 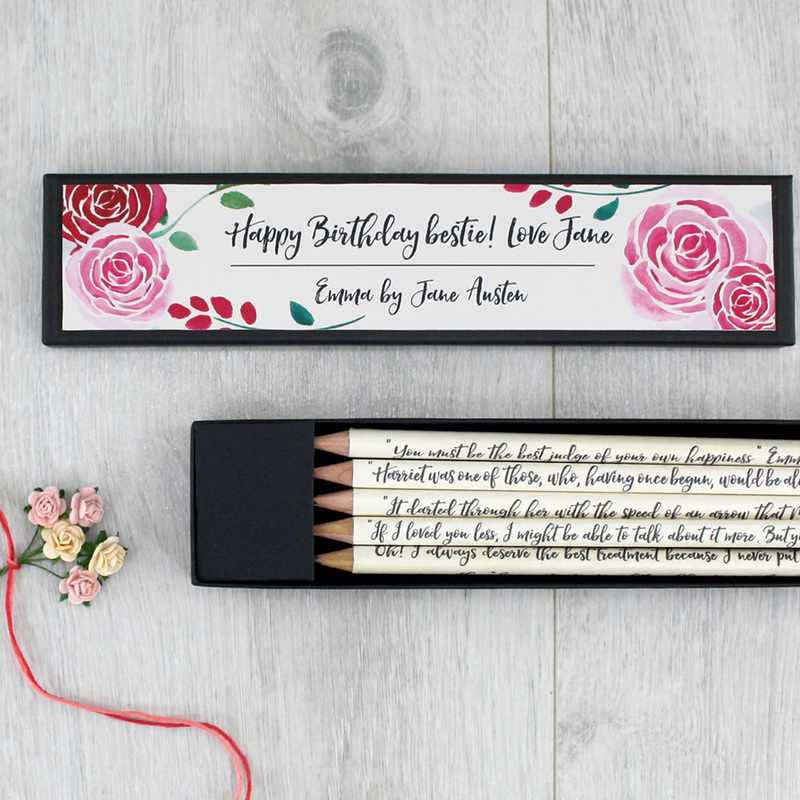 Gifts for book lovers and definitely the best stocking filler for a Jane Austen fan. 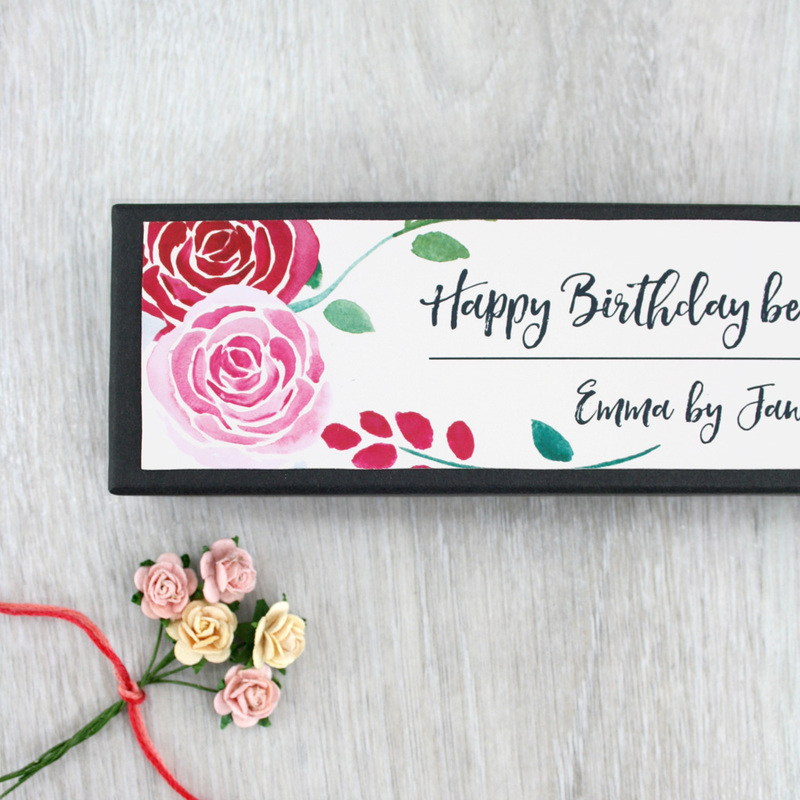 Emma is a novel of comic humour, wit and wisdom. 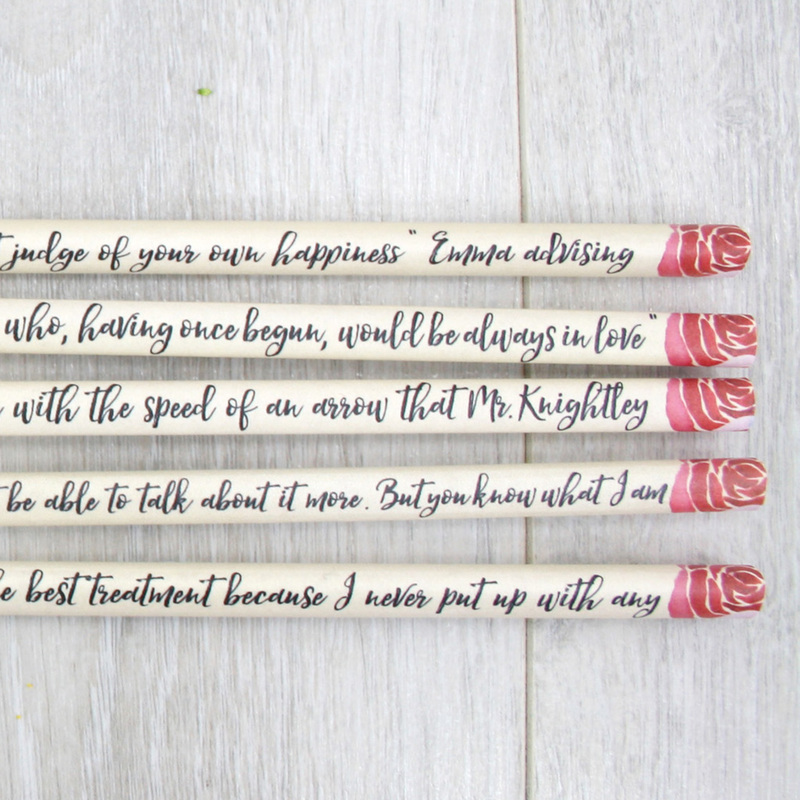 With this set of quote pencils I aim to capture five of Austen’s best lines from the novel. 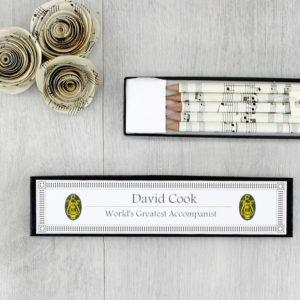 Although Emma appears at first to be a very whimsical novel there is a lot of wisdom in it. 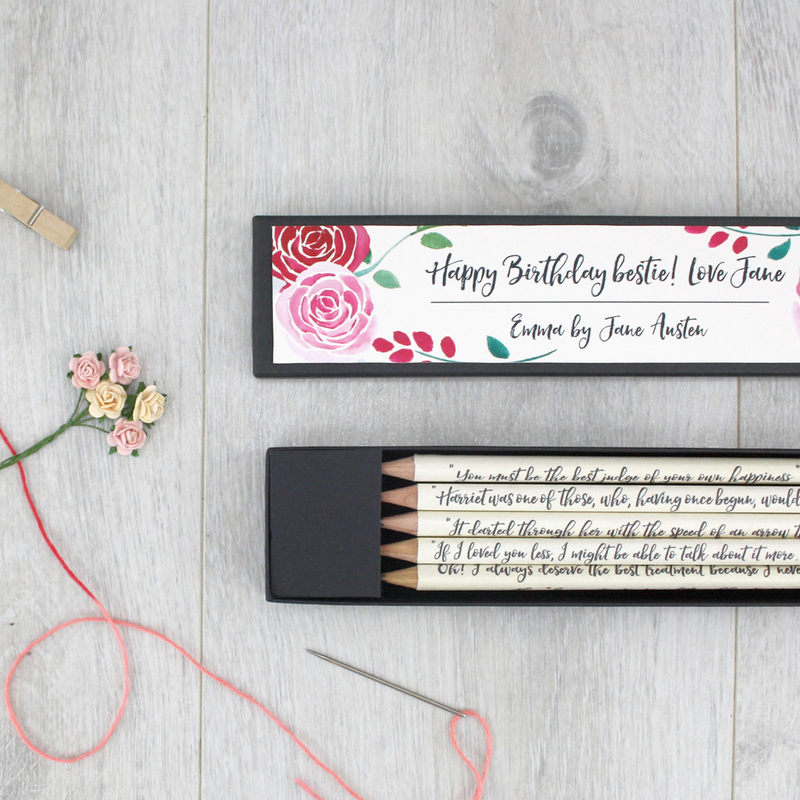 The perfect gift for any Jane Austen fan, give the gift of words this Christmas with this set of personalised Emma quote pencils. 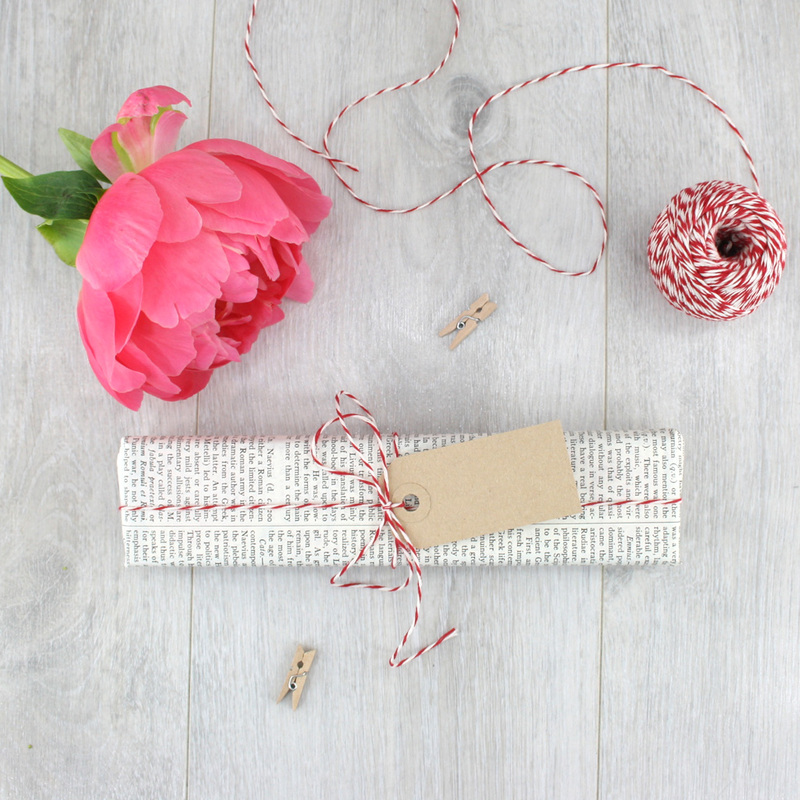 Have your Emma Quote pencil set gift wrapped in a page from a vintage encyclopaedia and tied with red and white bakers twine and a mini gift tag.